I cannot believe that it is almost April and we have snow! Below you can see Biscuit trudging through the snow! He really loves the snow and his first snow with us was this past Christmas! very nice picture, wow, I love the black and white shot!! It looks like he is on a mission and so focused. 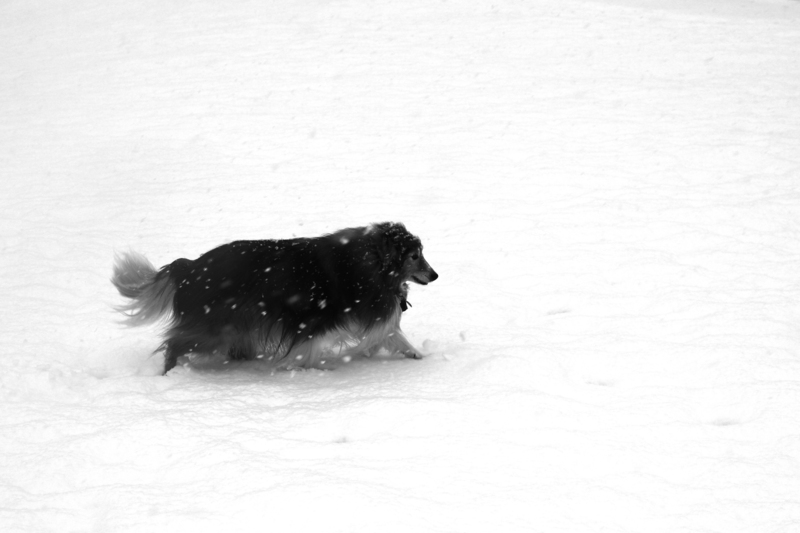 I had to laugh when I saw this picture of Biscuit “trudging” through the snow. It looks like he is tripping along on his way to work.